← List of Books and Epistles written against ibn ‘Arabi . Rashid Ahmad Gangohi, a deobandi hanafi sufi churchfather who is considered one of the pillars of the deobandi sect had a biography written about him. It was per his sons instruction Masood Ahmad and the chief contributors and annotators were also deobandi sufi churchfathers in their own right from them were the likes of Ashiq Ilahi Meerthi, Abdul Qadir Raipuri and Khalil Ahmad Saharanpuri (or Ambethvi – the author of Muhannad). It was essentially penned by Ashiq Ilahi and Khalil Ahmad Saharanpuri annotated it. Then Khalil Ahmad Saharanpuri took it upon himself to publish this biography. 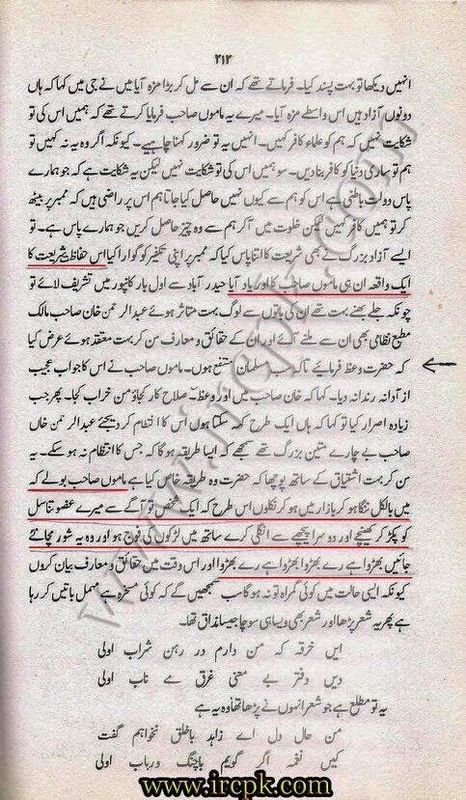 There is ample evidence this book (ie Tazkirrah ur-Rashid) was published in Rashid Ahmad Gangohi’s lifetime, so he saw it, read it and might have even checked it. Although this is not exactly certain as there is no publication date on the book and neither does the intro indicate anything? Secondly some deobandi quarters and “innocent sympathisers” may argue that Rashid Ahmad Gangohi never actually wrote this. So we answer and say this is not problematic from a number of angles. The first being his close students, murids, disciples and sympathisers compiled and penned the book and they were aware of his Aqidah and what it conformed to i.e. essentially what his aqidah was. Secondly, these compilers are the pillars of the deobandi sect themselves and hold enormous weight so this is detrimental in itself. Thirdly this book is his memoirs i.e. his thoughts, what he presented to the people, how the people saw him and in what light and his general teachings. At the very least we should understand and hold this as a deobandi aqidah. So what do they say, and it indeed this type of belief and aqidah sends shivers up the spine. In the same token let this be a reminder to the deobandi sympathisers, when will you stop defending such anti Islam and idolatrous aqidah?